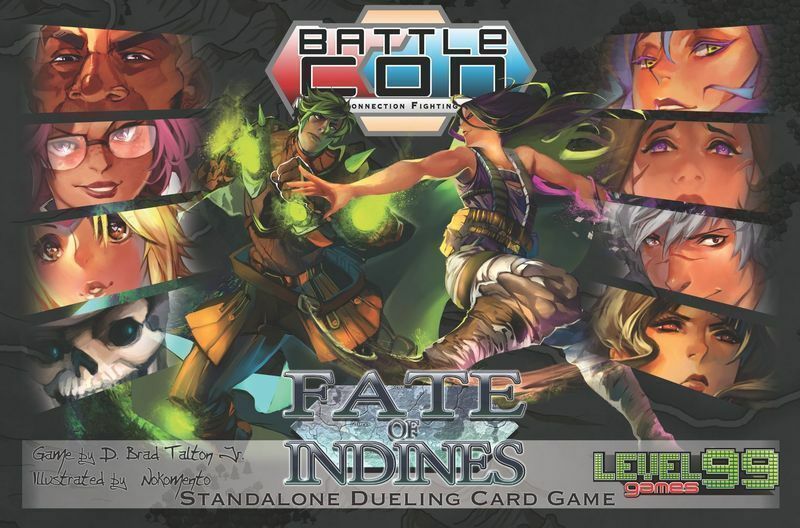 BattleCON: Fate of Indines is a low-cost starter box for BattleCON! Featuring 10 fighters, Fate gives you the essentials to play BattleCON anytime, anywhere, and is the perfect place to get started on the series. These new fighters are fully compatible with all existing BattleCON games, so you can expand your collection and get a travel-sized box and board at the same time!